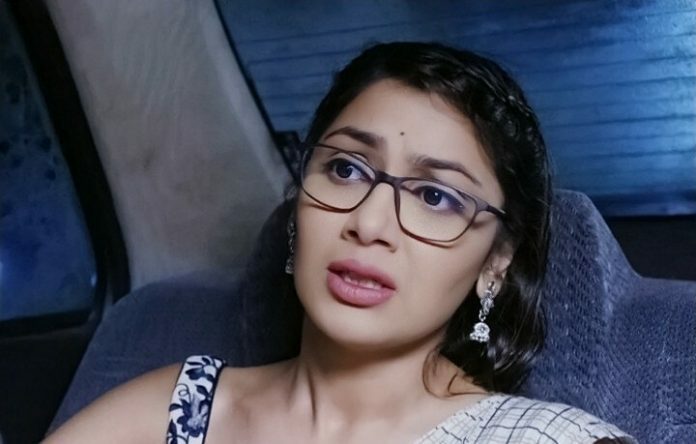 Kumkum Bhagya Pragya Accident twist: Abhi and Pragya have a love and hate relationship after the leap. They still blame each other for Kiara’s death and for snatching one of the twins. 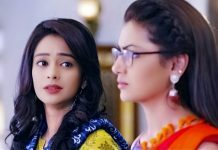 Rhea plans to hurt Prachi and tells her friends that she will not slap on Prachi’s face, but will slap on her life which she will remember always. She says Prachi will never ever forget it. Chachi tells Pragya about Prachi and Shahana promise to her that they will give them money, and for that, they worked as a waitress. Pragya asks Prachi to clear her misunderstanding and tell that she went there for dinner and asks her about the same. She asks her to tell the truth. Prachi tells Pragya that Chachi is saying right, they went there as a waitress. Pragya is shocked. Rhea hits Pragya with her car and escapes. Prachi shouts for help and tries to stop her car. Rhea escapes from there and fulfills her revenge on Prachi. Prachi takes Pragya to hospital. 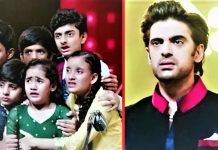 Kundali Bhagya: Prithvi proves to Preeta that he was not in Sherlyn’s house when Karan went there and acts innocent. Karan tells Preeta that he will prove that Prithvi and Sherlyn have an affair. Preeta says you are challenging me. Karan says yes and tells that he will prove about their affair and that it was Prithvi who was with Sherlyn. He says I will change your thinking about Prithvi. Preeta’s blind trust on Prithvi doesn’t let her figure out the truth. Tujhse Hai Raabta: Kalyani cries and misses Moksh when Malhar lets Atul take her forcibly with him. She hopes to see her son and thinks Malhar will realize her importance in Moksh’s life. Rao Saheb’s body is brought home for the last rites. Kalyani goes to attend the funeral. Malhar reaches there and sees Kalyani. He tells that he let her go for her better future and freed her from Moksh and his responsibility, but after whatever she has done today, their relation doesn’t mean anything. He holds her hand and tells that they had taken 7 rounds and made their relation, and now he is taking 7 rounds around the pyre and ends their relation, declaring it over. Kalyani is shocked that her marriage is over from Malhar’s side. Kalyani will fight for her marriage and win back Malhar.